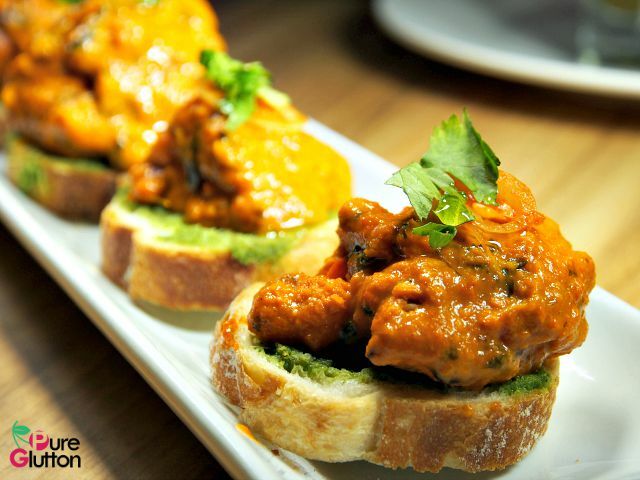 When Herukh Jethwani and his lovely wife Aahana were honeymooning in Spain, they were enthralled with the variety of delicious tapas served everywhere in that land. Thus the idea to formulate something similar back home in Fiercer was born and they experimented with the possibility upon their return. 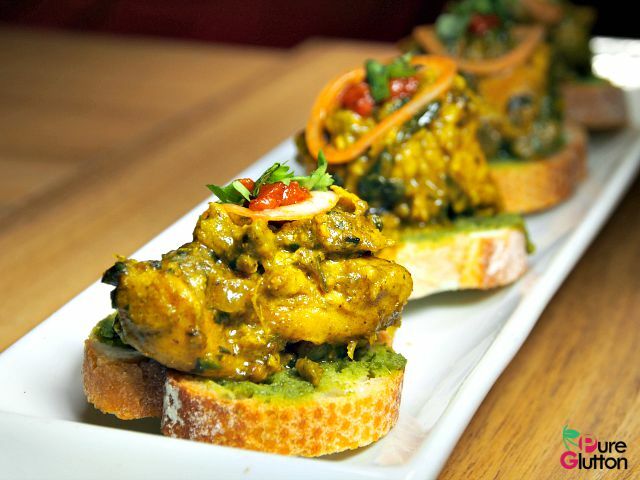 After numerous trials and testing in the kitchen, a series of avant-garde tapas done Indian-style have now been included in the menu at Fiercer. 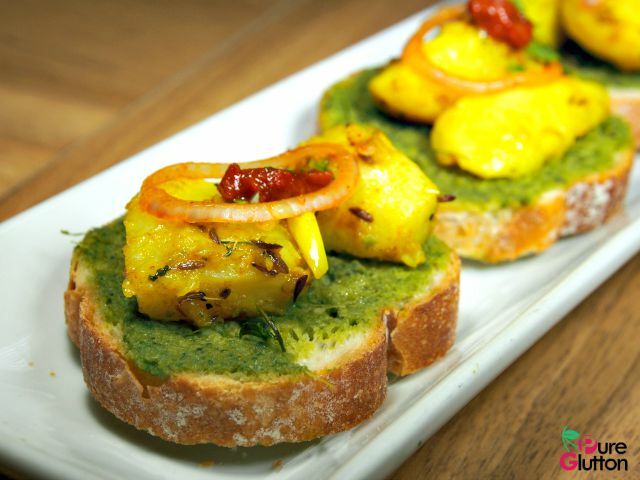 Slices of baguette are toasted crostini-style before being smeared with a refreshing mint chutney. 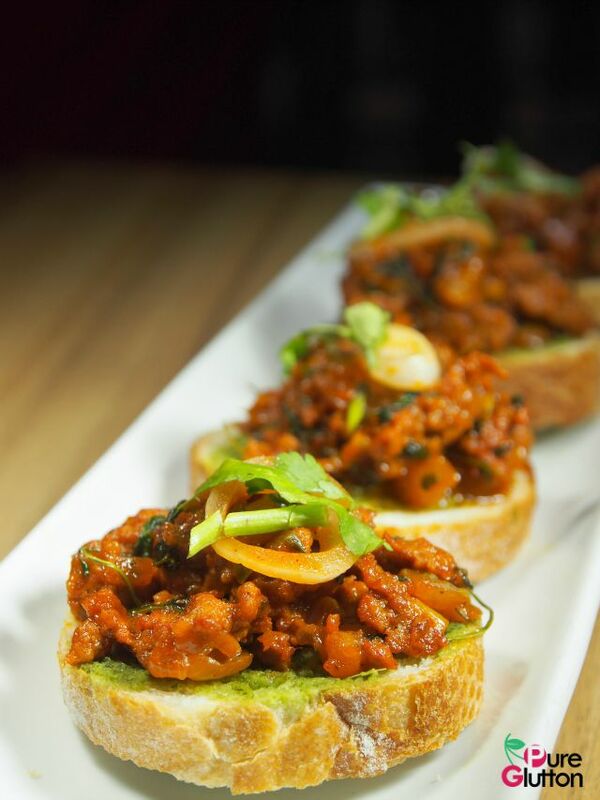 Then, a variety of delicious toppings are put in place and a dollop of spicy chilli chutney crowns the ensemble for a fiery (slightly) balance. 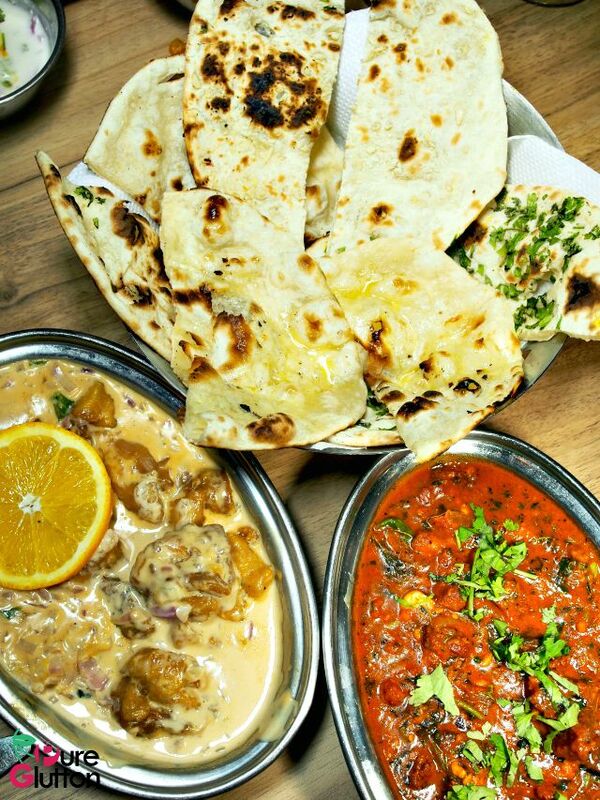 We tried several versions of these tasty morsels, starting with Chicken Makhanwala (butter chicken), followed by Jeera Aloo (potatoes and cumin), Gosht Keema Masala (spicy minced lamb), Prawns Tikka Malai and Fish Methi Masala. The toppings are generous and their flavours can’t be faulted. It’s hard to pick a favourite from the selection we tried. 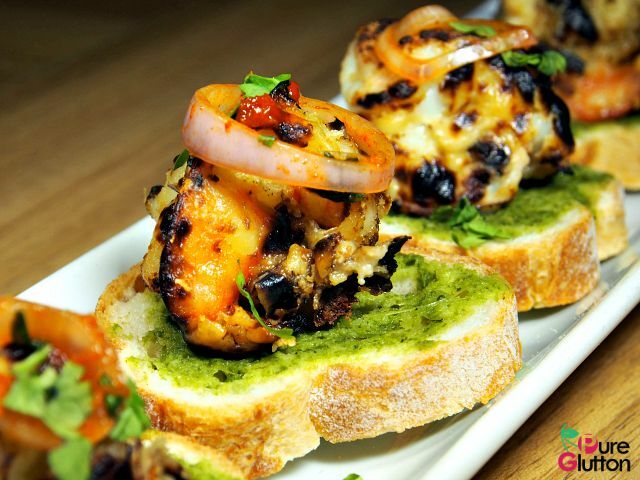 The prawns were well marinated with blended cashew nuts and cream cheese while the tandoor-grilled tenggiri fish were scented with a light masala and fenugreek. 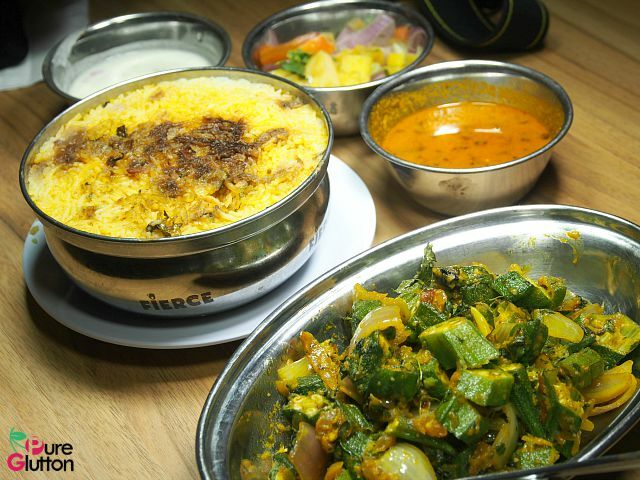 We loved the rich nuances of the Chicken Makhanwala and the Lamb Keema Masala had such a fiery punch. 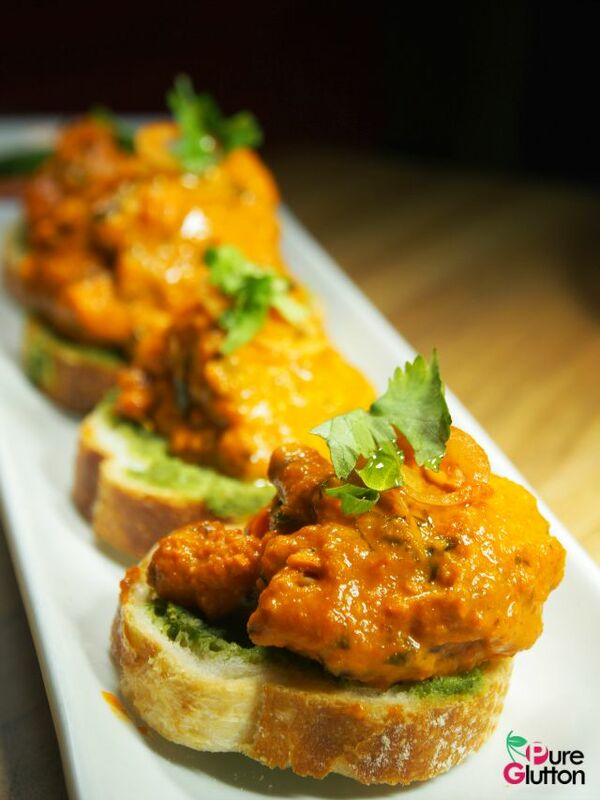 Prices of the tapas items range from RM12 to RM38 for 4 pieces per serving. They go very well with drinks or if you just prefer some light bites for your meal. Fiercer’s bar has a good selection of alcohol to go with the tapas. 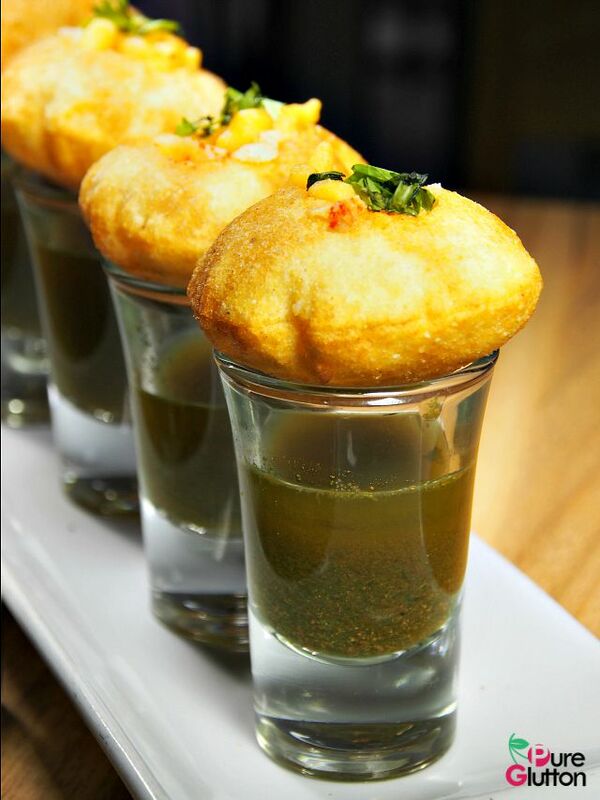 For other interesting bites, check out Fiercer’s Pani Puri (RM10), a popular streetfood in India. 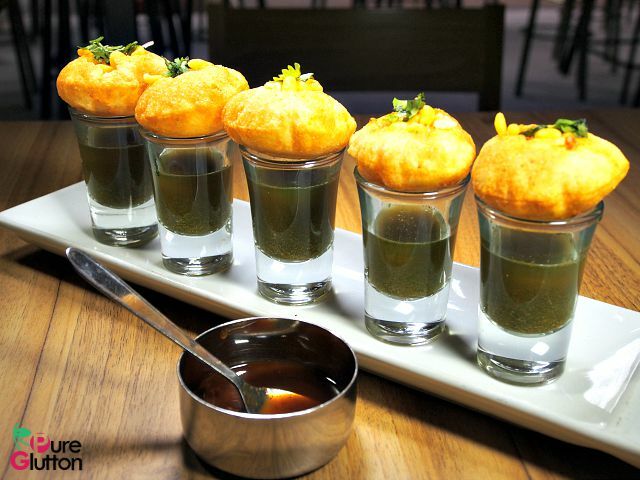 These crispy puffed wafers are served with spicy mint juice, chutney and potatoes which are to be popped into the mouth in one go to appreciate its full spectrum of flavours. 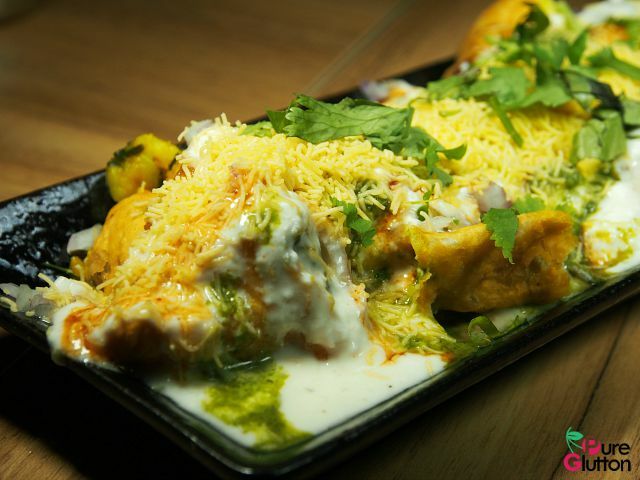 Samosa Chaat (RM12) are crispy vegetables samosa with potatoes and chopped onions topped with sweetened yoghurt mint and tamarind chutney. Served chilled, this was another interesting and delicious starter. Double-braised Chicken Orange (RM30), a recipe from the famous Bangles Restaurant (which used to be operated by Herukh’s family). 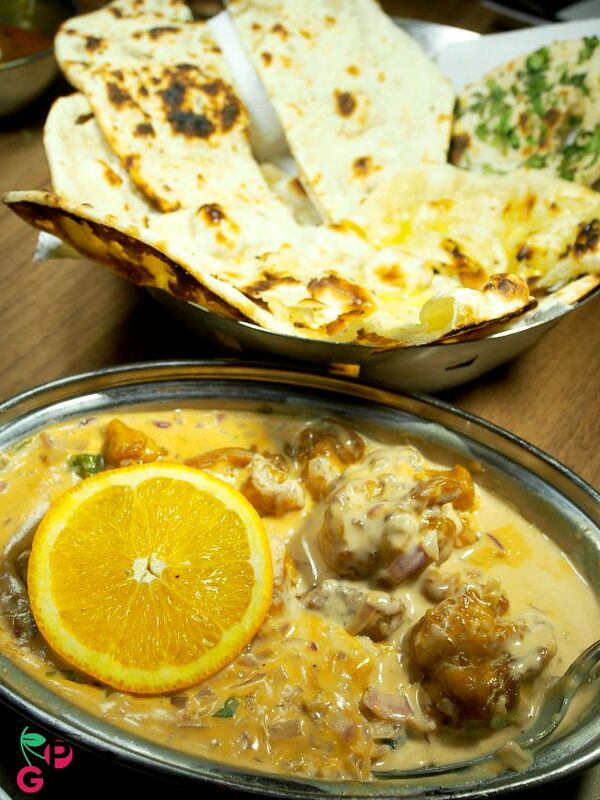 Boneless chicken braised with fresh cream, saute’ed onions, capsicum with a squeeze of fresh orange. There are no spices or chilli in this dish, kids adore it. There’s also a prawn version of this dish, if you love seafood. THIS COMBO IS SO LETHALLY DELICIOUS! 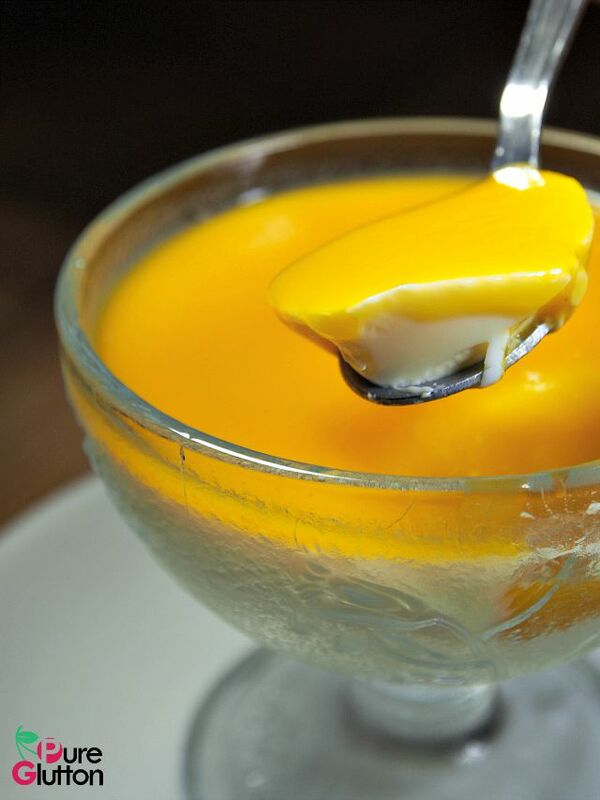 Aahana Jethwani makes the desserts that are served in Fiercer. Although I find that generally Indian desserts are very high in sugar content, I was pleasantly surprised by Aahana’s Gulab Jamun. The golden balls were only moderately sweet and they have a lovely smooth texture – double points for this, I’d say. Pretty Little Layers Desserts owned by Aahana Jethwani who also owns Fierce Restaurants is a small dessert company focused on custom made cakes such as Chocolate Fudge Cake, Red Velvet, Orange with cream cheese frosting, Butter Cake, Carrot Cake, Strawberry Cheesecake, Cupcakes, desserts such as Chocolate mousse, Pannacota and other sweet delights. 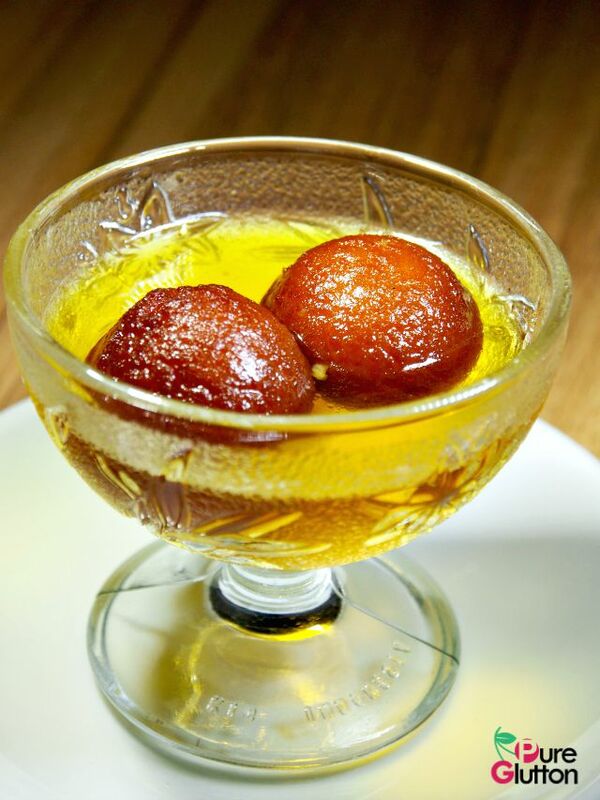 They also have popular Indian Desserts such as Gulab Jamun, Carrot Halwa and Rasmalai. 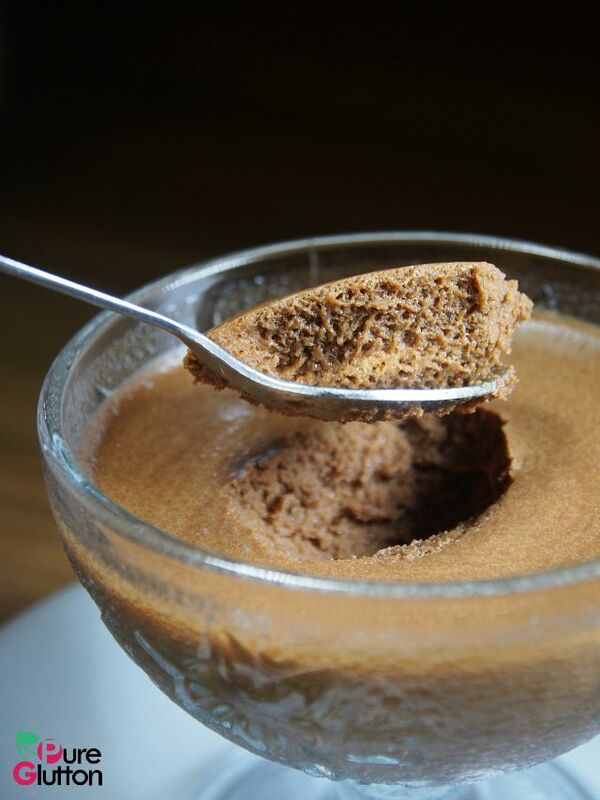 Pretty Little Layers also does deliveries for a small fee in the Klang Valley area. You can contact them via email at prettylittlelayers@gmail.com or +6019-985-1945.